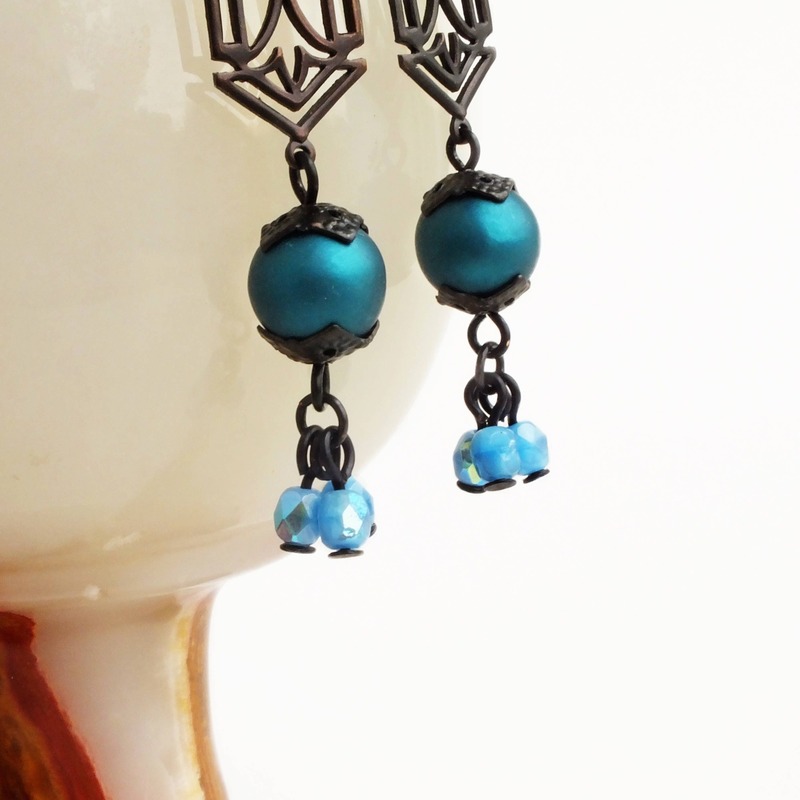 Long handmade beaded dangle earrings with Art Deco filigree and vintage blue and green beads. 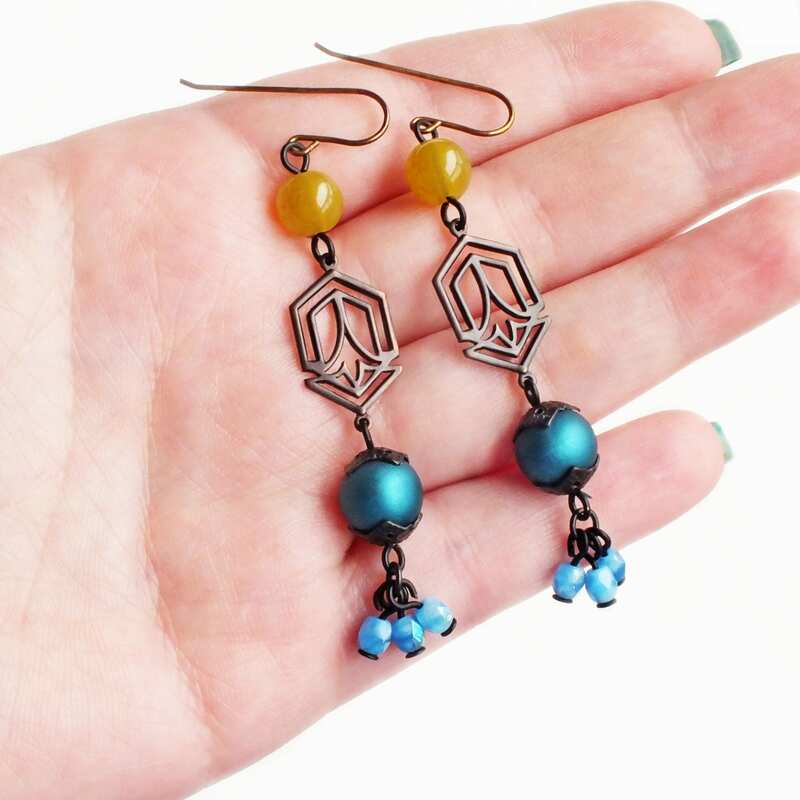 Genuine vintage beads and bead caps. 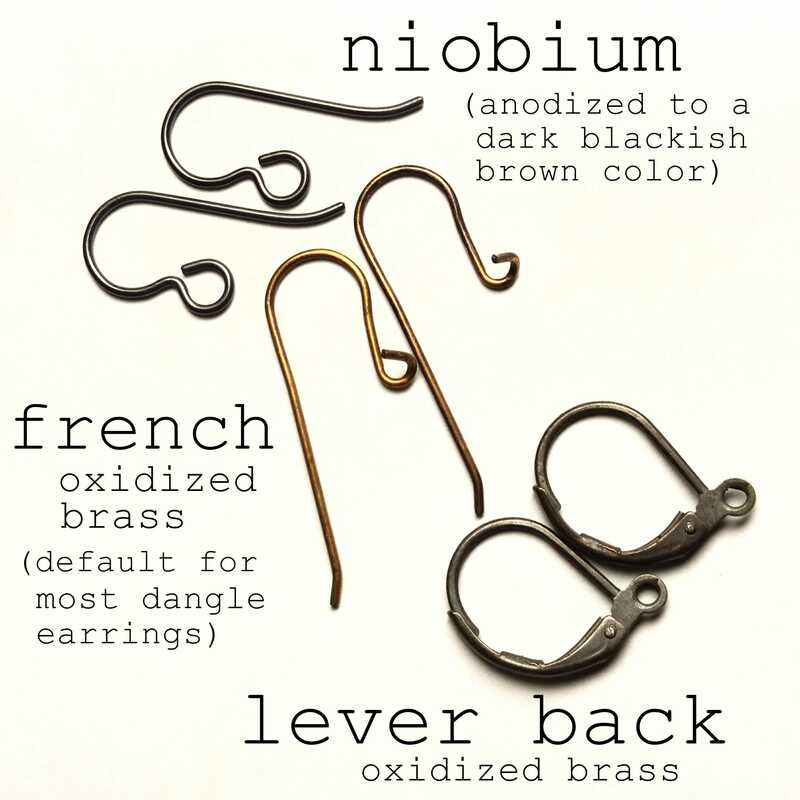 US made oxidized brass ear wires and filigree. 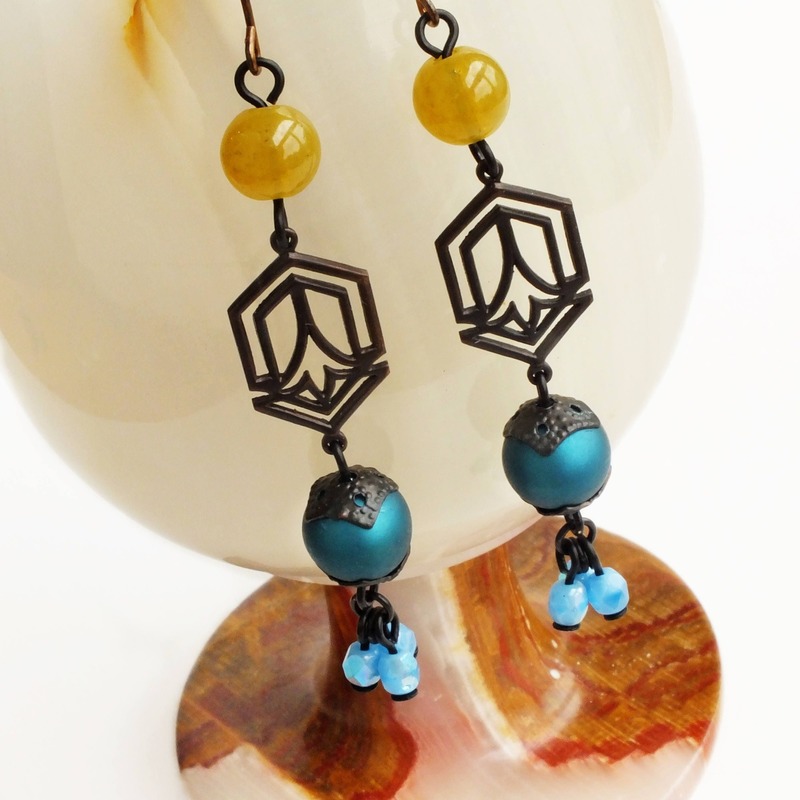 3 inches - 7.5 cm long. 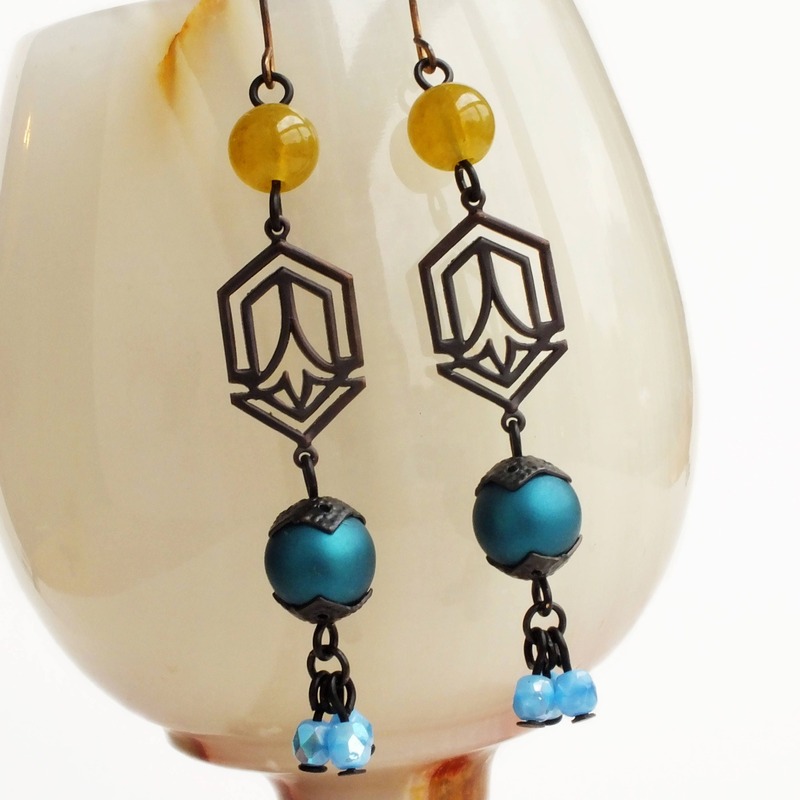 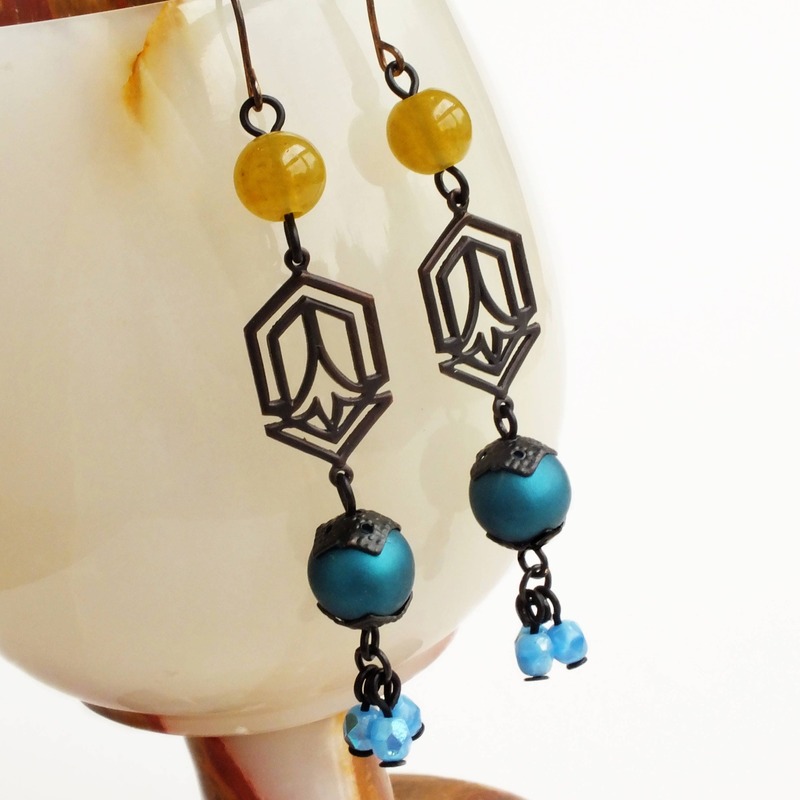 Long beaded dangle earrings made with oxidized brass Art Deco style filigree adorned with vintage olive green glass, vintage matte teal Lucite and iridescent blue Czech glass beads.